Manufacturer & Supplier of Stainless Steel 317L Pipe Flanges, SS 317L Slip on Flanges, Steel UNS S31703 Lap Joint Flanges, Stainless 317L Blind Flanges Exporter in India. We, Neon Alloys are a among the leading company engaged in manufacturing & exporting a wide range of Stainless Steel 317L Flanges with its superior technology in compatible with the world standards for oil and natural gas pipelines, refinery and petro chemistry facilities, nuclear power and electricity production plants, refinement and extrication plants, dams and hydroelectric power plants and shipbuilding industry. 317L likewise gives imperviousness to refinement when welded and higher downer, anxiety to burst, and elasticity at lifted temperatures. It is non-attractive in the strengthened condition however may turn out to be marginally attractive in the wake of welding. We make & deliver these SS 317L pipe flanges available to the customers at leading prices in the market in order to suit the requirements of all our patrons. 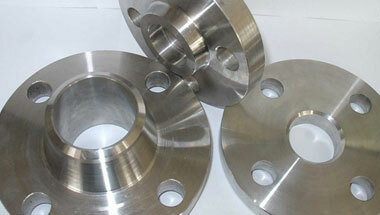 Stainless Steel 317L Flanges Manufacturer, SS 317L Plate Flanges, Steel WNR 1.4438 DIN/ASME Pipe Flanges, SS UNS S31703 Socket weld Flanges Suppliers in India. Ethiopa, Mexico, Sri Lanka, UAE, Colombia, Azerbaijan, UK, Malaysia, Venezuela, Vietnam, Thailand (Bangkok), Houston, South Africa, Algeria, Russia, Canada, Egypt, Jordan, Israel, Peru, Nigeria, Kazakhstan, Africa, Angola, New Zealand, Tunisia, Bahrain, Italy, London, Argentina, Dubai, Mozambique, Indonesia, United States, Chine, Sudan, Iraq, Brazil, Ghana, Turkey, Cameroon, Trinidad and Tobago, Australia, Germany, Kuwait, Uganda, Democratic Republic of the Congo, Iran, Morocco, Saudi Arabia. Singapore, Subra al-Haymah, Mbuji-Mayi, Algiers, Luanda, Beirut, Mecca, Giza, Dar es Salaam, Maputo, Manama, Ibadan, Riyadh, Abidjan, Colombo, Cairo, Port Elizabeth, Dammam, Bethlehem, Port Harcourt, Johannesburg, Omdurman, Kano, Yaoundé, Byblos, Bamako, Doha, Ouagadougou, Douala, Zaria, Sharm el-Sheikh, Cape Town, Mogadishu, Amman, Rabat, Tripoli, Tel Aviv, Fez, Alexandria, Kaduna, Hong Kong, Lagos, Dubai, Accra, Conakry, Dakar, Lubumbashi, Kinshasa, Durban, Kolwezi, Tehran, Data from the UN, Antananarivo, Muscat, Cairo, Istanbul, Abu Dhabi, Jeddah, Harare, Freetown, Brazzaville, Pretoria, Maiduguri, Lusaka, Aqaba, Kampala, Khartoum, Nairobi, Soweto, Casablanca, Bulawayo, Addis Ababa, Benin, New York, Jerusalem.